As a kid you couldn’t get me to sit still and read more than 2-3 pages from a book. Don’t get me wrong, I love books!I never have an issue buying books, but once they made it home they sat on the bookshelf. My parents tried everything including even getting my Hooked on Phonics which was a big deal when it came out. I still remember having this huge package, opening it, and having all these various reading tools from tapes to flashcards attached to those plastic rings for easy flipping. Ever since I was a kid I would pick up a book, read the back cover and if it sparked my interest I bought it – I have never had an issue buying books. The issue always came after the purchase. Once the book made it home it would go on the bookshelf and sit there until the next garage sale. Every time I opened a book and started reading I would start to get sleepy – no joke! I was the kid whose parents bought Hooked on Phonics which was a big deal when it came out in hopes it would help me read more. I still remember having this huge package, opening it, and having all these various reading tools from tapes to flashcards attached to those plastic rings for easy flipping. It wasn’t until I hit college when I actually enjoyed reading more and that’s because I was starting my first business MIX IT UP Magazine. 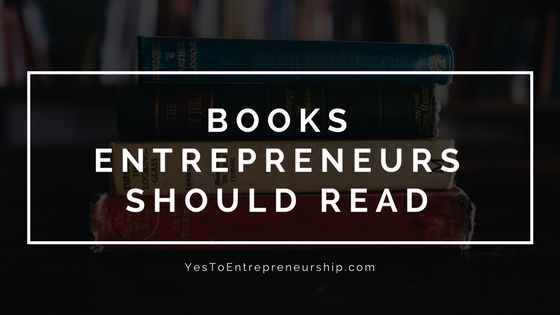 I had to learn how to start and run a successful business and reading was key! Fast forward to now and I love reading! The past year I’ve hit up the library so much they should have a frequent flyer program, ha! I’ve read more books around business, web design, technology, self-care, and marketing then I have read in my entire life. Yes, some books are still sitting on the shelf but now they are just in line, waiting to be read next. Lucky for you I’ve compiled all the books that I’ve read here for you and I even broke them down into categories for you. Now, I’m always on the hunt for a good book so be sure to drop your favorites and WHY in the comments below. You bet! Glad it helps! I continue to update this post so be sure to check back regularly ?